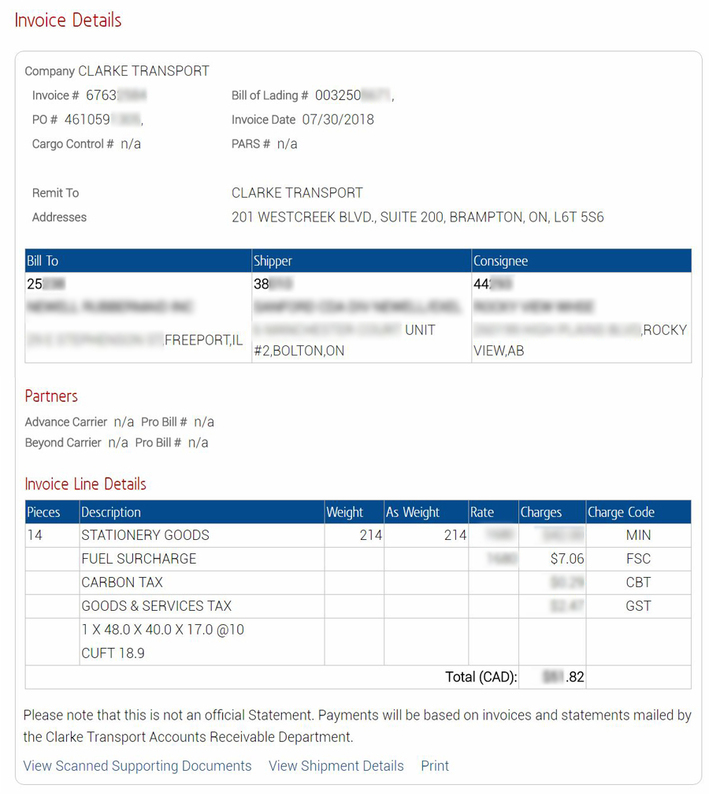 Invoices can be selected directly by entering specific invoice or statement numbers. They can also be found by entering a combination of known search criteria. The data retrieved from your search will be returned in a summary list format with all key related elements listed. The information you are looking for may be available at a glance. For a more in-depth view, detail on particular invoices or statements may be obtained by clicking on the appropriate, hyperlinked numbers. 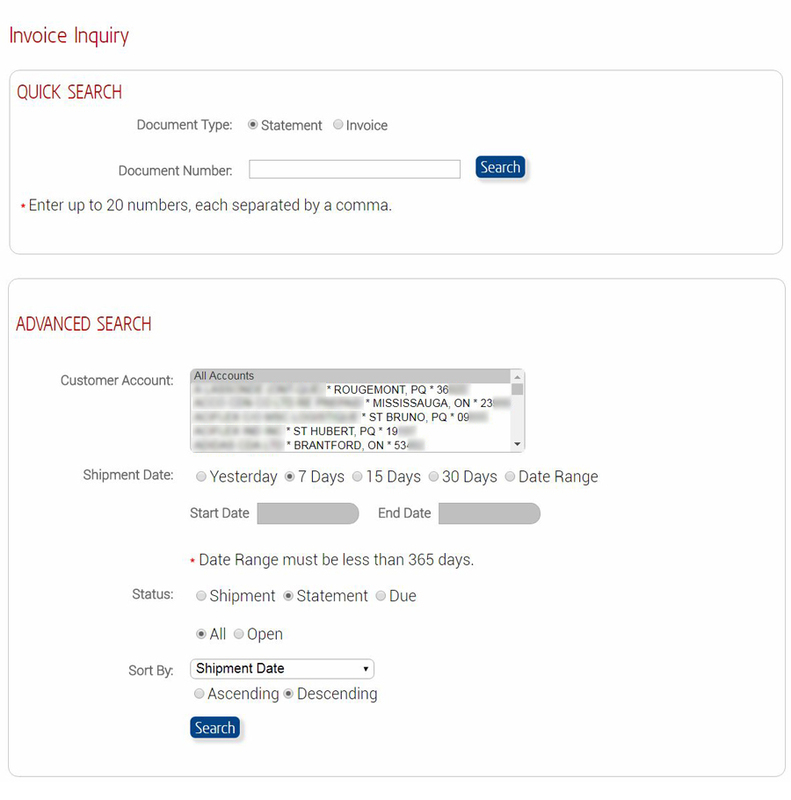 Review up to date information on invoices to answer your users' inquiries immediately. 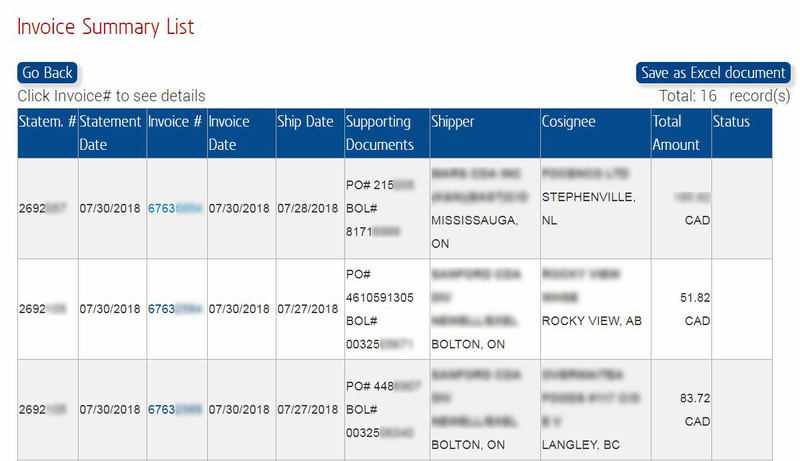 A selection of options, such as viewing associated shipping documents and document images, are provided to allow the user to verify the changes immediately.